Not really, of course, but that's what it might look like to people passing by! The Bunny Project took place in Sweden in 2008. It was done in connection with the opening of the Kalmar Museum of Art, but was put promptly to a halt. They were forced to cancel the "performance" by the Swedish secret police. 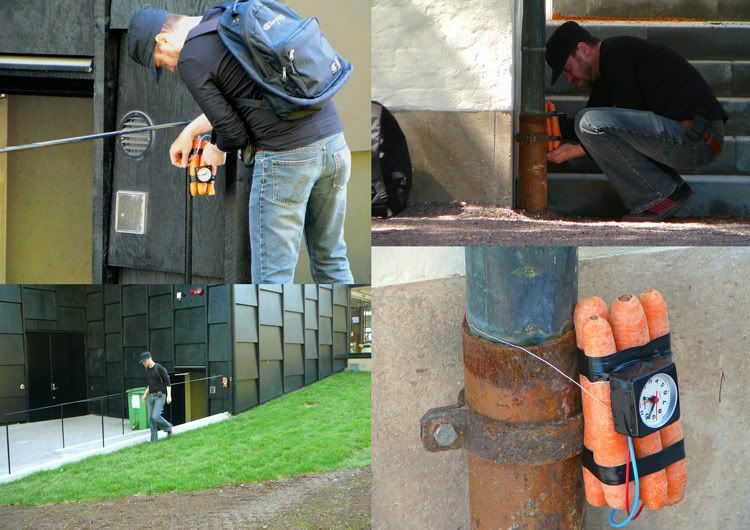 Carrot bombs :P, that was a good laugh!